Premier Roofing Systems offer a wide variety of green roofing options and have worked on numerous green roofing projects. Green roofing has the advantage of being aesthetically pleasing with excellent water absorption and storm management properties. 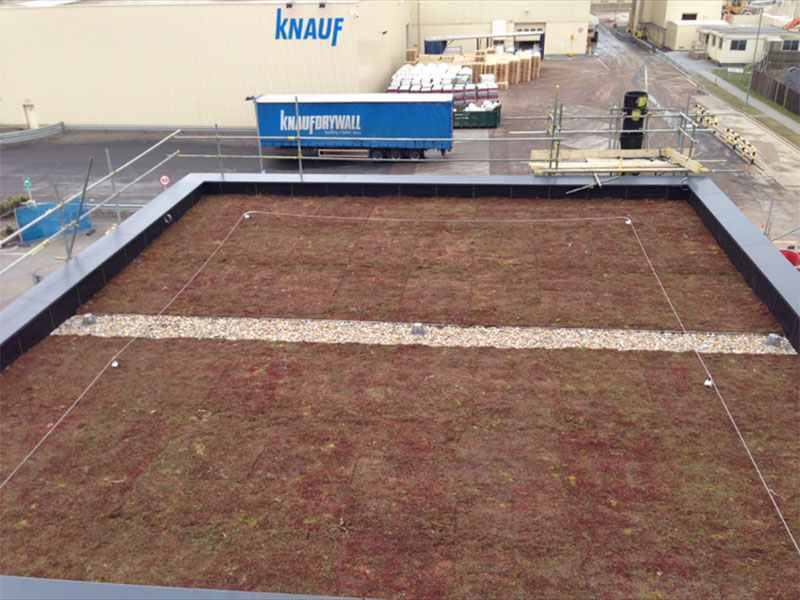 Green roofing systems also have the benefit of increased insulation and formation of new habitats for local wildlife. The shallow substrate depth supports plants that are self-sustainable with high tolerance to drought and frost. There are also options for non-vegetation based environmentally friendly roofing. An example of this would be the Noxite membrane developed by Icopal. These roofing membranes are able to convert harmful NO2 found in pollution, into harmless nitrates that are washed away in the rain water.